Need inspiration for your online holiday marketing campaigns? Look no further. We have nine interactive marketing campaigns created by ShortStack users that will get you and your customers in the holiday spirit. Multi-day giveaway calendars, also known as advent calendars, are popular during the holiday season and a smart way to get people coming back to your campaign day after day. 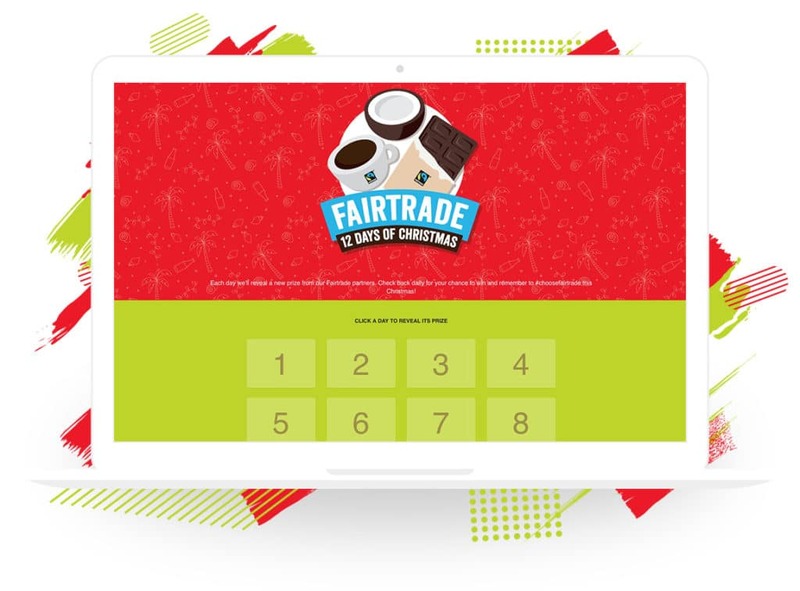 Check out the 12 Days of Christmas campaign by Fairtrade Australia & New Zealand. Each day of the calendar reveals a prize folks can win from a different Fairtrade partner, which is a perfect way to raise awareness about the great fair trade products out there. Win your wishlist campaigns combine showing off your products with collecting leads. With their Win Your Wishlist contest, Mad Millie asks people to choose three products they would like to win. After submitting, entrants’ lists are displayed at the bottom of the campaign. 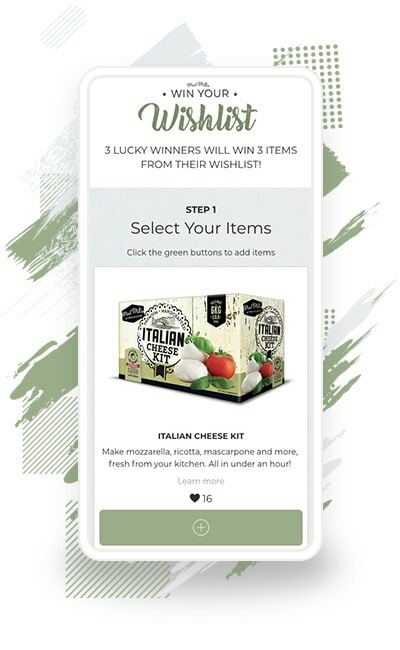 This gives entrants the opportunity to share their wishlist with folks who might have them on their shopping lists and Mad Millie an opportunity to show off their featured/seasonal products. The holidays are stressful. Give your customers the chance to relax and be pampered this year. 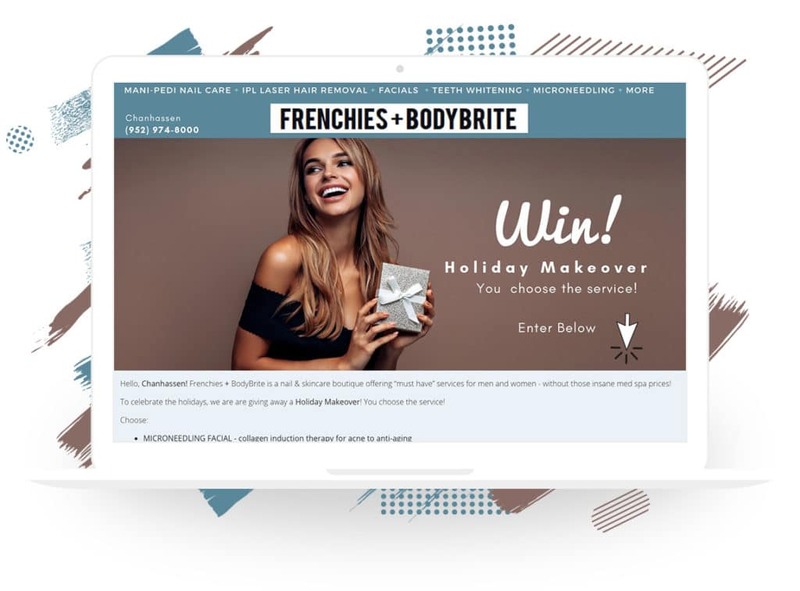 Frenchies + BodyBrite, a nail & skincare boutique, created a giveaway where entrants choose which of the three beauty services spa services they would like to win. With a Pick Your Prize campaign, Frenchies + BodyBrite is able to collect qualified leads from people interested in their services. There’s nothing better than seeing the joy on a child’s face when they receive that special toy during the holidays. If your company specializes in children’s products like Toyworld does, then a “top toys” list is a great way to show adults what the children in their lives hope to see under the tree this year. 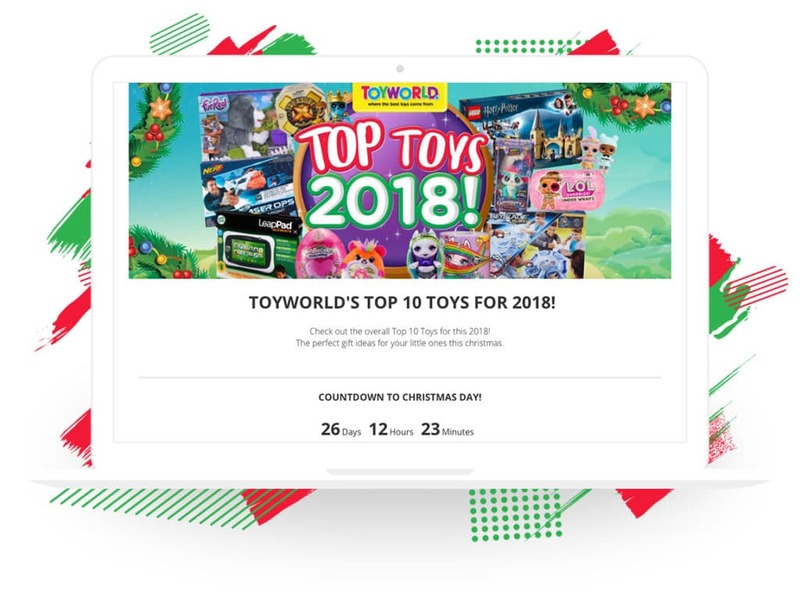 Toyworld keeps their campaign simple; the campaign consists primarily of images and links to purchase the toys on their website. The simplicity of the campaign allows customers to focus on the important part of the campaign — the toys. The holidays just aren’t the same without family. 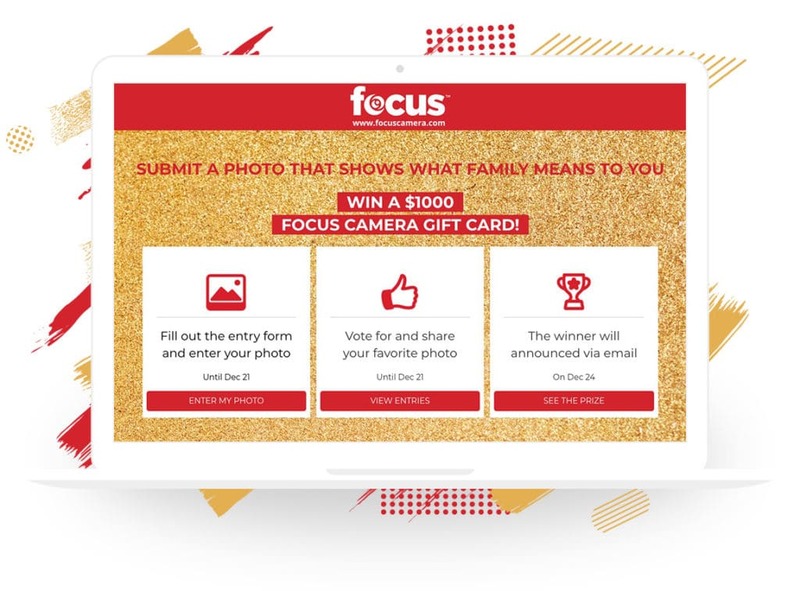 Focus Camera knows how important family is during the holiday season, and their “What Family Means to You” photo contest reflects this. Entrants are asked to submit a photo that shows what family means to them and to share their entry to gain votes. Photo contests allow brands to collect valuable UGC, while voting contests promote engagement, which is why photo vote contests are a win-win this holiday season! Lead generation is essential for holiday sales. Many folks run giveaways to boost lead generation, but why not spice things up a bit like Edible Blooms NZ? They created a pick your prize giveaway where folks choose the prize they want to win. Plus, Edible Blooms makes sure all entrants receive a “Thank You” for participating in the form of a 10% discount on their products. 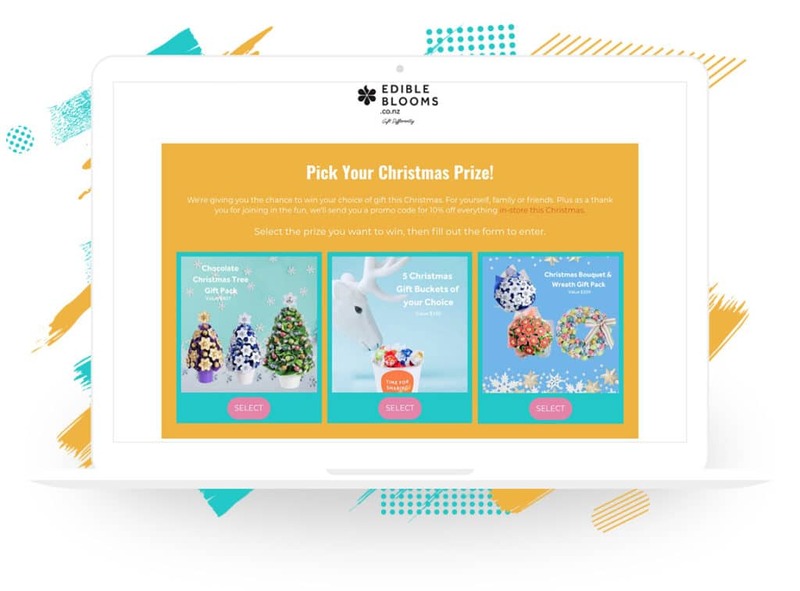 With a chance to win great prizes and a discount for entering, it’s no wonder Edible Blooms says the pick your prize campaign has seen the highest participation out of any campaign they have run this year! Looking to create your own event this holiday season? Take a page from Yelton Fine Jewelers’ book. Their Guinness Wishes and Mistletoe Kisses event is seriously adorable. On December 16, they are attempting to break the Guinness World Record for the most couples kissing under the mistletoe. Participants are asked to register for the event, then show up at Yelton’s on December 16 for the record-breaking attempt. This event is a fun way to collect leads and get folks through the doors. Pet owners are always snapping and sharing photos of their pets. If your target market is full of folks who love their furry friends, then try a pet photo contest. WVC created an online ugly sweater contest for pets. 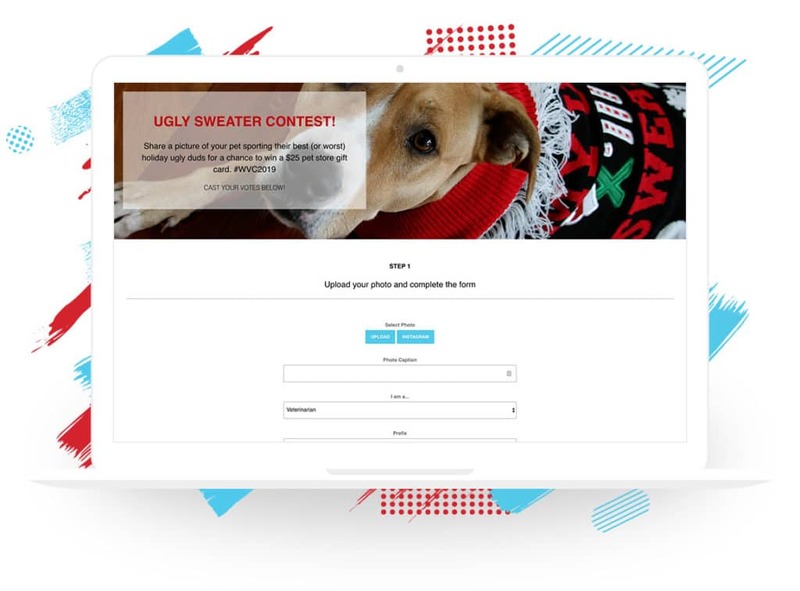 Entrants simply submit a photo of their pet sporting an ugly sweater. After votes are tallied, the winner takes home a $25 gift card. A photo contest where pet owners can show off their fur babies is perfect for collecting leads and prompting brand awareness. 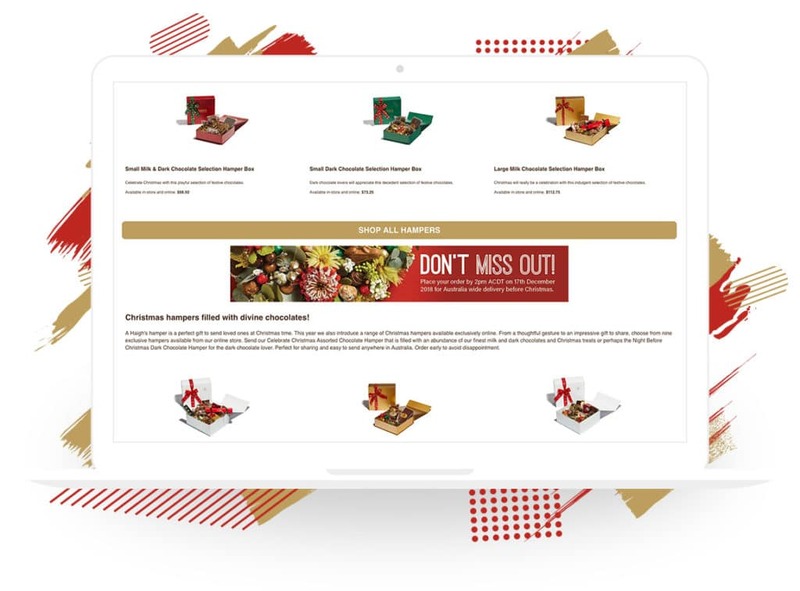 Food is front and center during the holiday season, and Haigh’s Chocolates created a campaign to make sure their customers know about their special holiday gift assortments. The campaign showcases the product images, descriptions and price, and includes a link to the product for purchase. The simple design of this campaign is perfect for embedding on a website or linking to as a landing page. Looking for more tips and ideas for your holiday marketing? Check out our blog.